WDS Courier Service New Jersey has a long tradition of delivering savings for our courier clients. Let Warren Delivery Service manage the courier trucks, the staff and the schedules. Rest easy knowing we our courier personnel are licensed and insured. New Jersey based, WDS Courier will take full responsibility for your logistics, so you can concentrate on running your business. Let our professional couriers deliver you the time and cost saving you need to make greater profits in your industry. Over the past 30 years, WDS Courier New Jersey has developed a reputation as the go to courier for time sensitive logistics, cost effective freight and air transport solutions. Our delivery trucks are capable of handling freight weighing in excess of 3 tons, and our courteous and dependable drivers are a great solutions for everything from same day document delivery, full courier services, to rush medical specimen transport and delivery across New Jersey. WDS Courier has the experience you need to pull of even the most sensitive logistics. Our messenger service is recognized as fast and dependable. Typical rush messenger service is completed in one hour. Regular messenger service is approximately 90 minutes. We have a large fleet to handle heavy or out of town work. 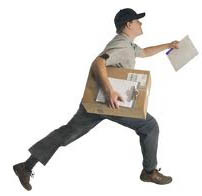 WDS COURIER has the ability to offer rush and pre-scheduled messenger service at lower prices than our competitors. Our focus includes retrieving packages from the area airports for single or large-scale delivery. As a rush service or scheduled service, WDS COURIER will pick up a package any time for immediate placement on the next flight to any city in the U.S. We can pick up after midnight and still deliver before 9:00 a.m. to the 50 largest cities in the country. Call WDS Courier at (973)208-5888 and ask us about our messenger services today. 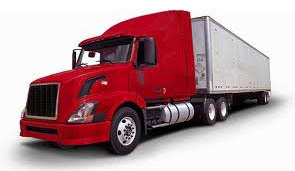 WDS’S Freight Services have been in operation since 1987. As a large shipper of freight, WDS COURIER specializes in the time-definite, door-to-door delivery of freight of all sizes. This includes same-day air transportation in the United States, Canada and to most international cities. Let us handle your special freight shipping needs. Call WDS Courier at (973)208-5888 and ask us about our freight and air freight services today. WDS Courier has provided delivery services to the tri-state area for over 20 years. Founded by Warren Erdman Jr. in 1983 as a local delivery company, Warren Delivery Services provides a wide range of services to pharmecuetical, banking, law offices, printing industry and other companies that require spot on logistical support in order to operate efficiently. Warren Delivery has expanded steadily since its inception, and now provides a broad range of services including same day delivery by walker or by vehichle, trucking and air freight service, container shipment, international and nationwide rush delivery, cargo shipping, and much much more. The company remains focused on delivering a product superior to its competition, at competitive prices. Outsourcing logistics is a foregone conclusion from an economic and business standpoint. We can provide superior service at substantial savings. Our insured and bonded personnel are perfect for everything from routine daily transactions to delivery of confidential time sensitive documents, emergency medical equipment, rush legal documents, sensitive specimens for lab examination, expensive telecomunnications equipment, and any other logistics that are needed. Since 1982, we are a company you can trust. Email us at Service@WDSNJ.com or use the form below.